After being granted Supreme Court bail for the charge of ‘cruelty to a child,’ on Friday, July 21st, David and Anke Doehm were one step closer to walking free. The couple continue to be the prime suspects in the death of Faye Lin Cannon. David could not meet his $10,000 bail and remains remanded to the Belize Central Prison. However, Anke met bail, and on Sunday, July 23rd, she was back on Ambergris Caye. Accompanied by an unknown young lady, Anke was only on the island for a couple of hours before heading back to Belize City. 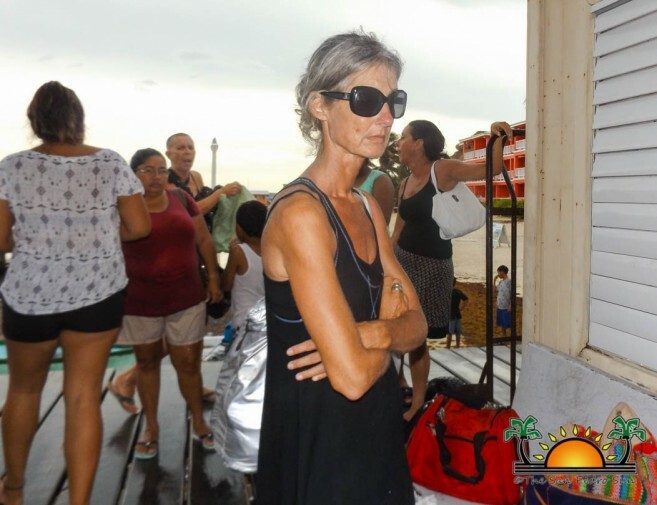 After an eyewitness reported seeing Anke boarding a 10:30AM boat from Belize City to San Pedro Town, word quickly spread and protesters lined up on the beach to wait for her. The unhappy group of persons followed Anke calling her ‘murderer’, ‘monster,’ ‘killer,’ and more. 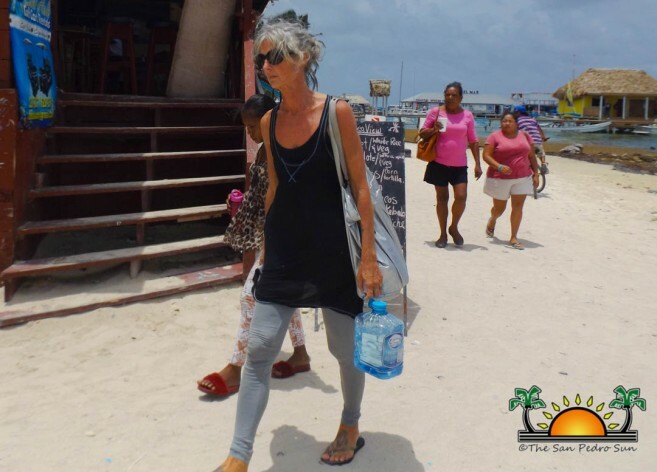 Anke silently walked to Barrier Reef Drive where she boarded a taxi to her condo on Northern Ambergris Caye. Residents nearby observed her packing her belongings and making her way back downtown. Again angry island residents followed every step she made, and despite a period of heavy rain, some camped near her business ‘Rubimoon’ as she dealt with her landlord. 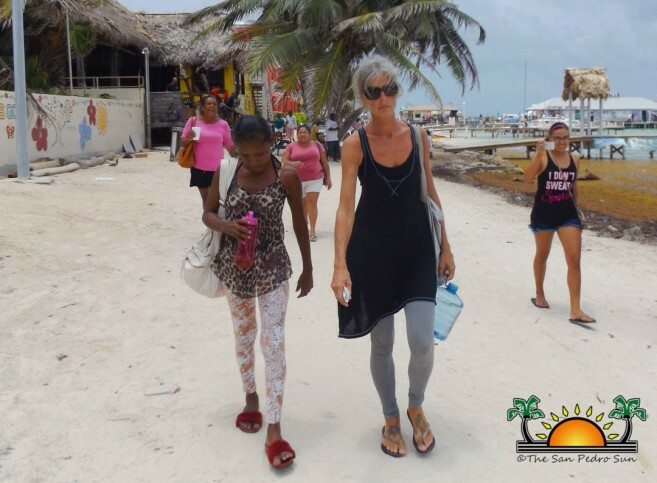 Shortly after, Anke and her Belizean companion, made their way to the water taxi terminal to head back to the mainland. The same angry group followed her all the way to the dock, asking why she failed Faye. Anke kept her silence. At 4PM she boarded the vessel and she was off the island. Upon her arrival in Belize City, another group of protesters and personnel from the media were waiting. A group of Belizean women assisted her with her luggage, and then they left in a white vehicle. Many people believe that Anke will soon leave the country. However, according to a reliable source, she will be residing in Belize City for the time being as investigations continue into the death of her adoptive daughter. The court has mandated that Anke and David (if and when he meets bail) to report to the Belize City Queen Street Police Station every Monday. Their travel documents have been removed and they are not to leave the country until the charge is concluded.